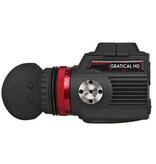 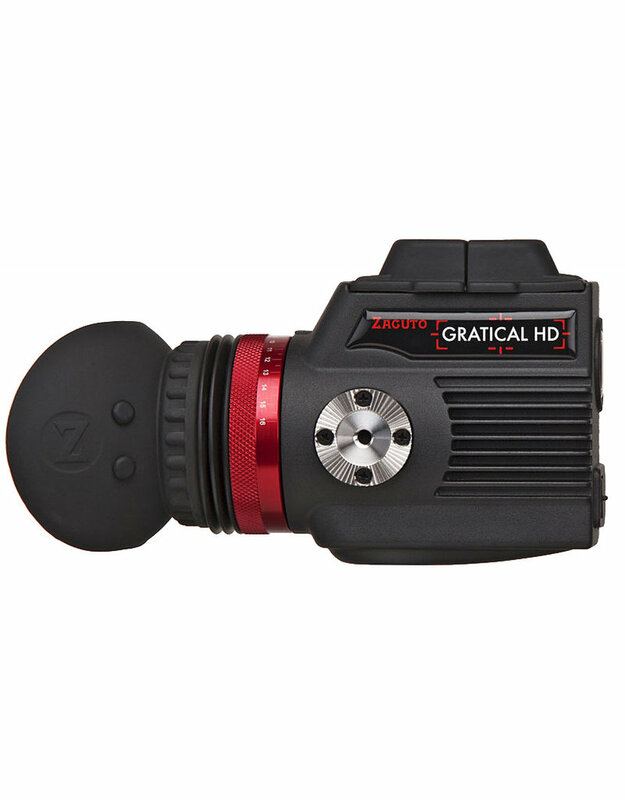 Zacuto Gratical HD Bundle with Dual Grips provides dual 360° rotating handgrips for secure shoulder-mounted operation, and the Gratical HD Micro OLED EVF which offers pro-style monitoring for your Canon C300 Mark II camera. 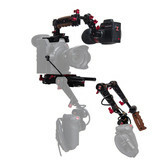 This rig also includes the Axis Mini EVF mount, the VCT Pro baseplate, and the C300 Mark II Helmet with Recoil Handle top grip for mounting accessories. 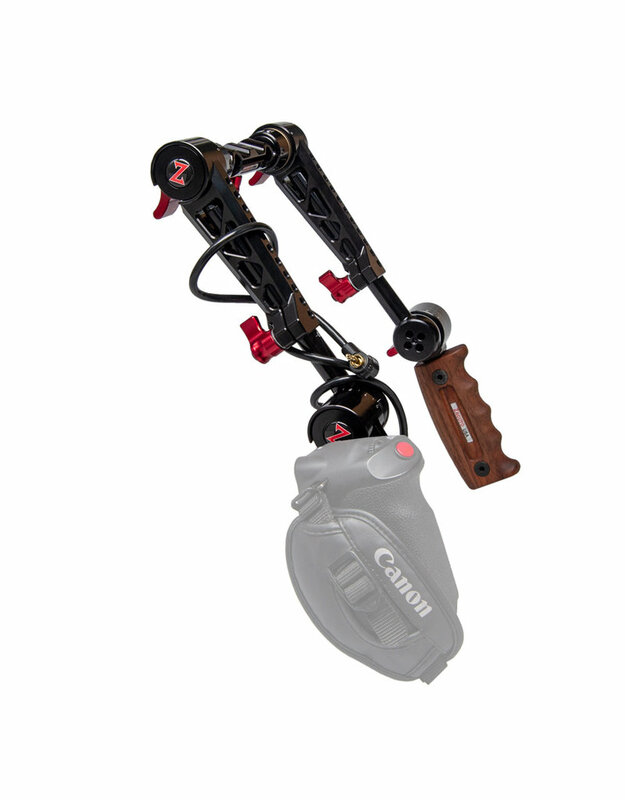 The Zacuto EVF Recoil Pro with Dual Trigger Grips is a shoulder rig designed specifically for the Canon C300 Mark II. 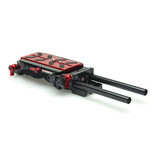 It is comprised of the VCT Pro Baseplate, the Canon Dual Trigger Grip, and the C300 Mark II Helmet Kit which includes a Recoil Handle top grip and a 3" Z-Rail. 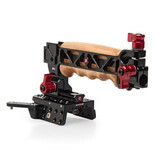 This shoulder rig follows in the Zacuto Recoil Rig philosophy of placing the balance point at the shoulder, which places the camera behind the shoulder and the focus, monitoring, and camera controls forward from the shoulder. 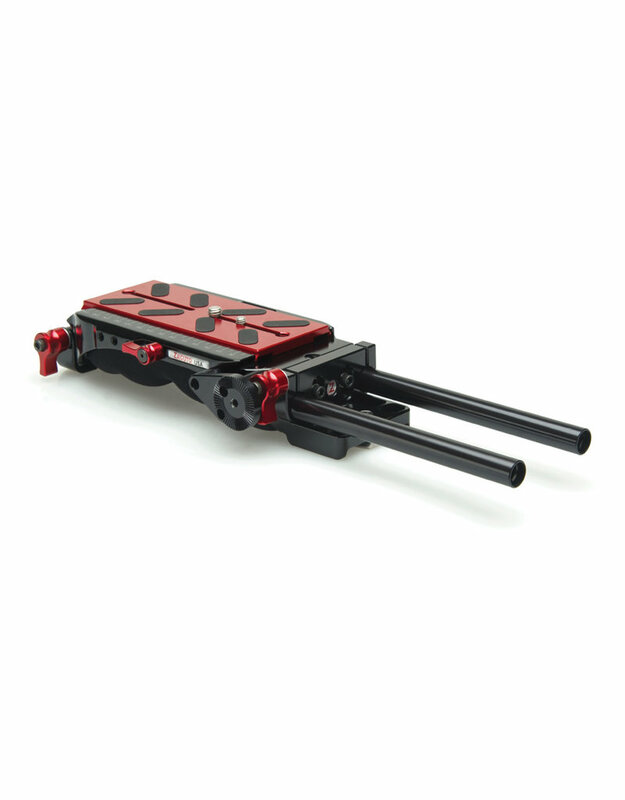 The VCT Pro plate supports the camera, features 10" of forward/back balance adjustment, and includes 15mm rods and rod clamps for rod-mounted accessories. 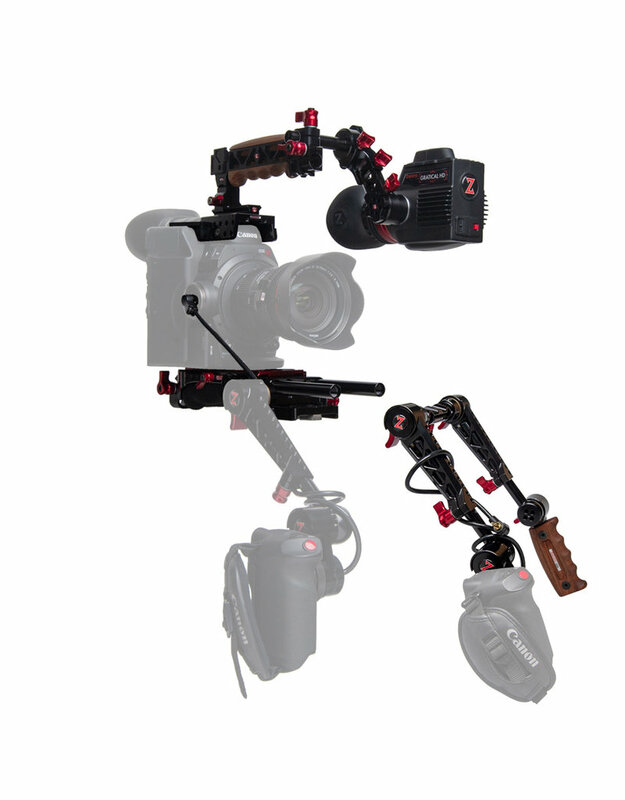 The VCT Pro also enables your rig to go from your shoulder to tripod and back without removing accessories. 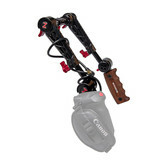 The Canon Dual Trigger Grip features left and right articulating arms. 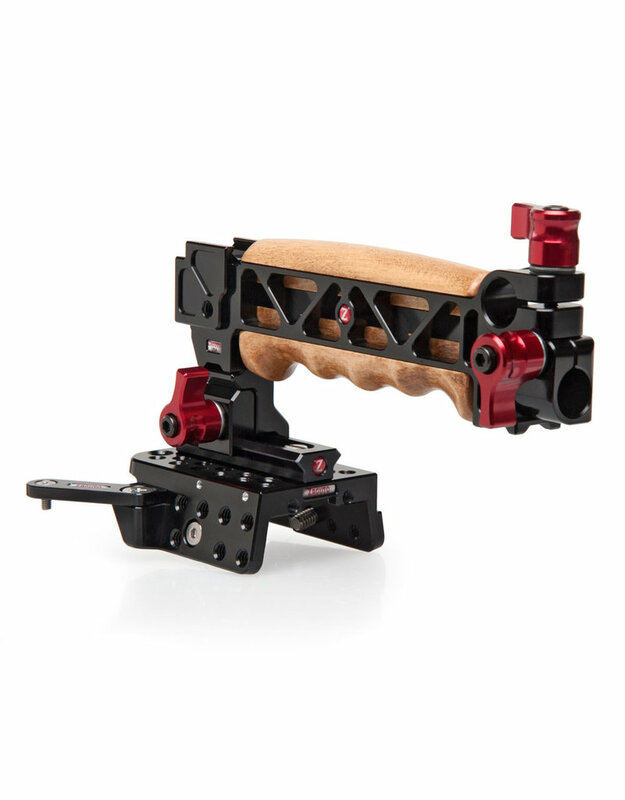 The left handgrip provides a comfortable, contoured wood finish, and the C300's handgrip is relocated to the right articulating arm so you can use all the grip's functions while comfortably supporting the rig on your shoulder. 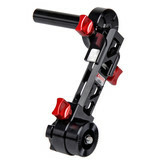 The C300 Mark II Helmet kit consists of a 3" Z-Rail and a Recoil Handle top grip with multiple 1/4"-20 and 3/8"-16 screw holes, a 15mm quick release port, and two cold shoe mounts. 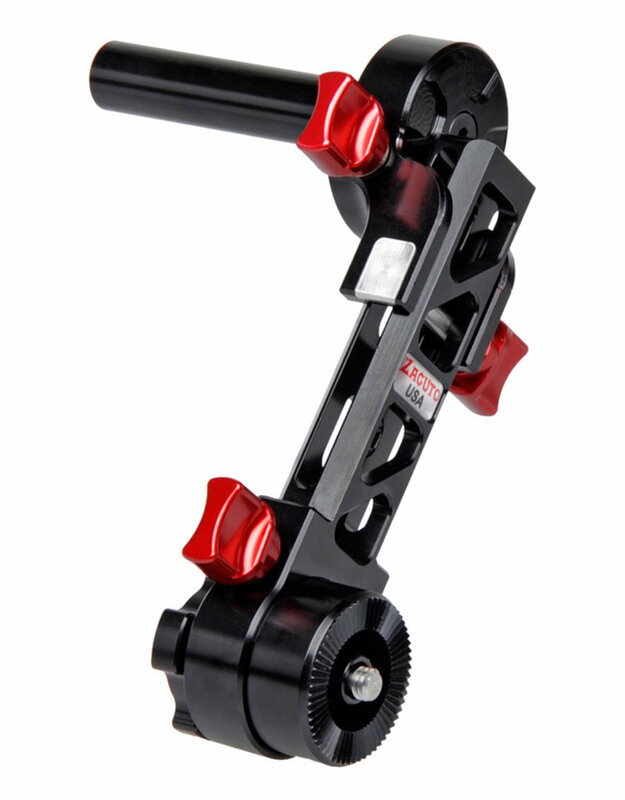 The top grip replaces the handle on top of your C300 and provides improved ergonomics and the capability to attach an LCD, a microphone, and various accessories to your camera without stressing your camera's body.